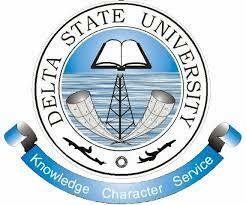 Applications are invited from suitably qualified candidates for admission into the Delta State University (DELSU) Degree programmes for the 2018/2019 academic session through Direct Entry. Application starts from Friday 24th Aug., 2018 and closes at 6.00p.m on Friday 14th Sept, 2018. Screening will take place on Tuesday 18th September, 2018. All candidates who chose DELSU as their first choice of University can apply for the 2018/2019 Admission Screening. Candidates should with the PIN for payment access and complete the Delta State University, Abraka, 2018 screening form online at www.delsuonline.com with their recent coloured passport sized photograph scanned to the JPEG format and not more than 20kb in size. Candidates are advised to use the virtual PIN immediately after payment, as it will be invalid after six (6) hours after its generation. Candidates must enter a valid mobile phone number and e-mail address with which the University will communicate with candidates. Inconsistency in name or picture on Photo Card will not be acceptable to the University and may lead to disqualification of defaulting candidates. Candidate’s names on their O’Level Certificates, UTME results and other registration documents must be the same.